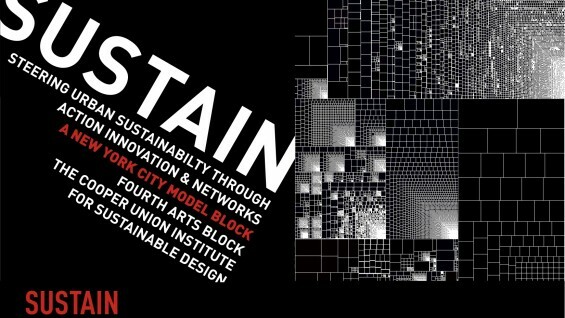 In collaboration with the Fourth Arts Block, CUISD has received a Rockefeller Innovation Grant to create a model sustainable city block in the urban environment of New York City. The project focuses on the East 4th Street Cultural District, and examines energy and water use, waste recovery, as well as the lived experience and daily patterns of residents and commercial tenants of the block. In the context of the innovation grant, CUISD will award a series of fellowships to the student teams that will assist this pilot project. For the first phase of the project, CUISD is currently soliciting a small group of architecture students (2-3 students) to conduct research and survey, collect information and maps and document the block in a set of precise two dimensional and three dimensional drawings. Documentation is the primary goal of this phase, as the work produced will become a foundation for further initiatives on the project site. The expected deliverables for the first phase include a comprehensive 3D model of the block, constructed in several layers in order to provide elevations, plans and sections. The selected student team is expected to work during the winter break and deliver the package by the beginning of the spring semester 2013. The selected student team will receive an honorarium of $1,000. To apply for this fellowship please submit a letter of interest and a resume of one page to the Institute for Sustainable Design at isd@cooper.edu by November 19, 2012.